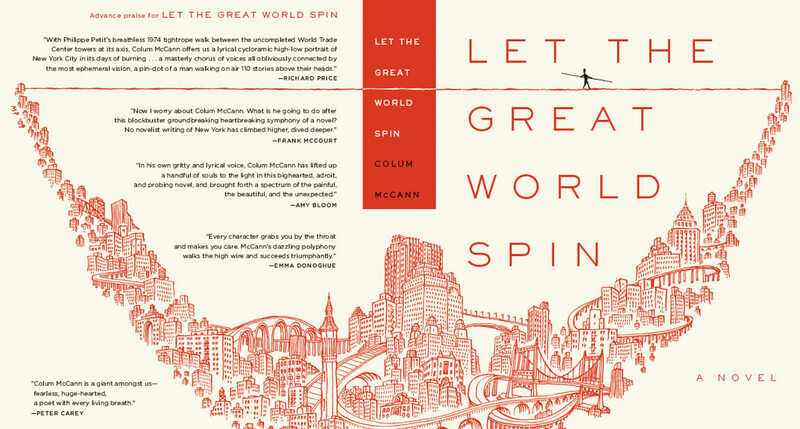 It looks like J.J. Abrams' Bad robot production company has made a deal to produce a feature film version of Colum McCann's award-winning novel Let the Great World Spin. McCann is also going to write the screenplay for the film. The film is built around Philippe Petit's real-life "artistic crime of the century" when the Frenchman illegally walked a tightrope strung between the World Trade Center towers in August 1974. You may have seen the amazing documentary called Man on Wire that is the true life story of how this tightrope stunt actually went down. I honestly don't see how a movie can be as intense as it was watching the event unfold in real life in this documentary, but they are going to give it a try. The film will also follow an ensemble cast of characters struggling throughout New York. The book's characters include a young Irish monk living among prostitutes in the Bronx; a group of mothers mourning their sons killed in Vietnam, in a Park Avenue apartment; and a 38-year-old grandmother walking the streets with her teenage daughter. With comparisons to Don DeLillo's work, McCann's novel serves as an allegory of 9/11 and its aftermath. This is a great story, and I'm sure it will make for a great movie. What do you all think? If you have not seen Man on Wire, you can watch the trailer for it below. I strongly suggest you watch the movie.